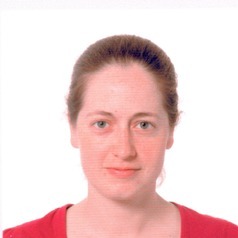 Dr Kirsty Kuo is a Post-doctoral Research Associate at Hughes Hall, and is based in the Department of Engineering at the University of Cambridge. Her research interests include climate engineering, feasibility of new technologies, structural dynamics, vibration from underground railways, pile-soil-pile interaction, applications of periodic structure theory, machine tool vibration, and engineering ethics & governance. She currently works on the SPICE Project (Stratospheric Particle Injection for Climate Engineering). This project investigates the benefits, risks, costs and feasibility of solar radiation management through the deployment of reflective aerosol particles into the earth's atmosphere. Dr Kuo completed her B.Sc., Chemistry and B.Eng. (Hons) in Mechanical Engineering University of Western Australia, before going on to do her PhD in Engineering at the University of Cambridge.